Aircraft landed with gear retracted. 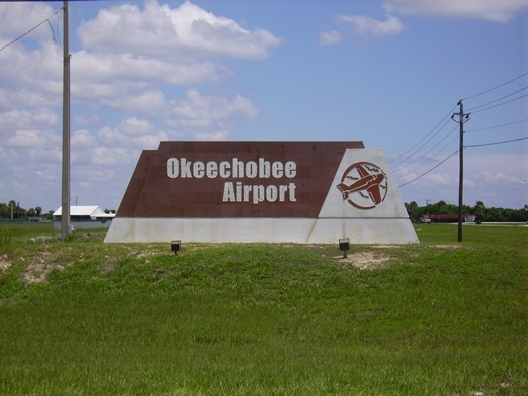 OKEECHOBEE — An airplane crashed at the Okeechobee County Airport early Monday afternoon. According to an incident report by Deputy Steven Pollock, of the Okeechobee County Sheriff’s Office (OCSO), at approximately 2:13 p.m. on April 2, he responded to the Okeechobee County Airport – located in the 2800 block of Northwest 20th Trail – in regard to a plane crash. Upon his arrival, Deputy Pollock reportedly saw a white 1994 Mooney M20J single-engine, fixed-wing airplane sitting on its belly. Deputy Pollock then made contact with the pilot of the aircraft who reportedly said that while in the process of landing the plane the landing gear collapsed. The collapsed landing gear then caused the plane to land on the belly and skid to a stop. The passenger in the plane reported the same information to Deputy Pollock. The report concluded that Deputy Pollock gave all the information collected to the Federal Aviation Administration (FAA). Photographs of the incident scene were taken and later turned into evidence. The plane was released to the Okeechobee County Airport.